The heavy snowfall obscured the site as Jaina mobilized her forces and approached the Haqqislam mining facility hoping to catch the defenders unaware. Lowering her visor and surveying the field through her tactical display she detected pillars of smoke in the distance and greenish explosions eruption on the outskirts of the facility. Just as she opened up a comm-link an explosion threw her of her feet, she cursed and addressed her troops while the snowfall subsided. 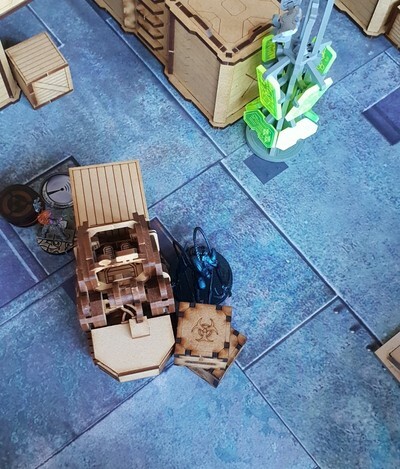 She had hoped for a quick and decisive strike at the Haqqislam supplies but it had suddenly turned into a savage engagement with the Combine Army. Jaina hunkered down in the cold and activated her disguise. Following the Hollowmen on her visors tactical display as they scuttled forward. They soon engaged the alien forces and with precise strikes obliterating a couple of unidrons covering the center. In the distance they discovered Bit, the Alive hacker gone rogue. The Hollowman jumping into the air taking aim at the rogue hacker with its missile launcher when a malign alien appeared from thermal optical camouflage, forcing the Hollowman to split its fire. Obliterating both adversaries in explosive rounds. 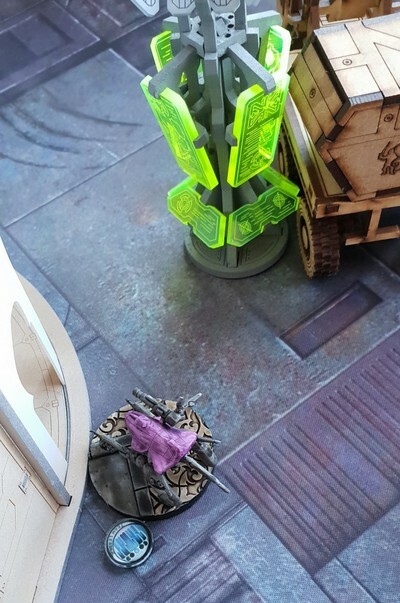 Though mid jump Kiss managed to hit the Hollowman with a lucky shot from its adhesive launcher as it disconnected, gluing the trooper to the ground as it landed. The Hollowman would have been easy prey stranded out in the open hadn’t the Taygen seen this happen and urged his zondbots over to aid the construct. 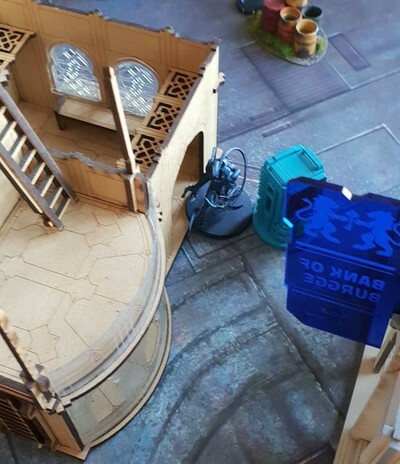 The Hollowmen consolidated into cover as the Stempler zond triggered the rightmost console to activate the heating unit located in the Tunguskan back lines. Meanwhile on the other side the Lunokhod advanced under cover in the supply yard. Little did it expect a TAG to emerge from thermal optical camouflage among the containers and shred its up-link through its heavy plating. Even though the Tunguskan had delivered a decisive blow the Onyx force were not deterred by the onslaught. The imposing form of the Sphinx shrugged of some snow and raced towards the Tunguskan lines, guns blazing as it ran. Bullets bouncing of the armor of the Zondnautica and the Lunokhod while they tried to dodge or throw down smoke. Jaina lowered her head and opened up her tactical overview as the blips of her troopers died out one by one. When the smoke cleared a Zondnautica lay unconscious and the Lunokhod were obliterated. It even managed to shred on of the Hollowmen from across the war zone despite the distance. But that was it for now. Left almost alone on the left flank Jaina opens up her comm-link, deployed her FastPanda and readied her hacking device. “Stay on target, move one the consoles! I will handle this one myself.” She said with unwavering determination, cursing under her breath yet again. Jaina probed the sphinx defenses for a second before assaulting the controls of the alien construct head on. Easily navigating the foreign coding and hacking defenses. A moment later she shut out the controller from the sphinx navigations and started advancing on the Onyx forces with their own TAG. She set her sight on the closest heating unit were most of the enemy forces were gathered. Destroying it would severely hamper their chances of getting out of here alive. Advancing steadily with the alien TAG, she sprayed bullets at the alien remotes. Plasma blast all missing their target as they tried to protect themselves. Jaina ignored most of the shots as wounds to the TAG would only serve her purpose. 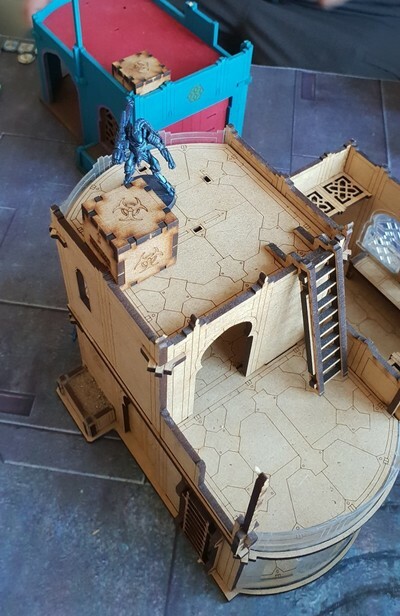 The Sphinx slashing out at the heating unit and ripped a huge chunk out of it, rendering it useless to the combined army. Jaina smiled as she turned the TAGs around and focused her attention towards the gathering of unidrons and nexuses hiding in the building nearby. With superheated flames and spitfire bullets Jaina manages to incapacitate a few unidrons and a hacker. Leaving mostly scorched husks and an eerie warmth in the blistering cold. A surge of energy raced across the Sphinx as the controller wrestles back control of the TAG. Jaina could feel the anger of the enemy as it did. Advancing back down the left flank and annihilating the last Zondnautica with its spitfire it took cover behind a pile of crates. 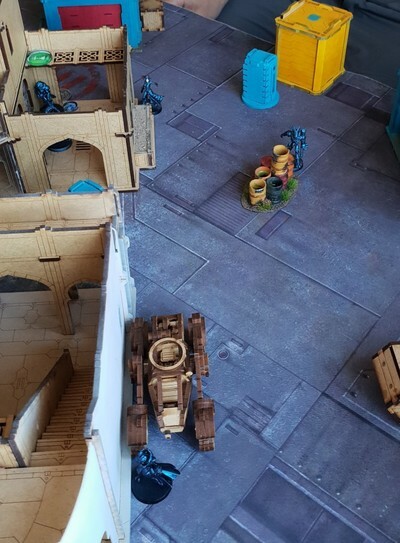 The Sphinx enters suppressive fire to cover itself from the counterattack as did the two nexuses at the back of the onyx lines. Seeing the desperation in the plan of the Onyx force Jaina spoke out over the comm-link again, in a calm and steady voice. 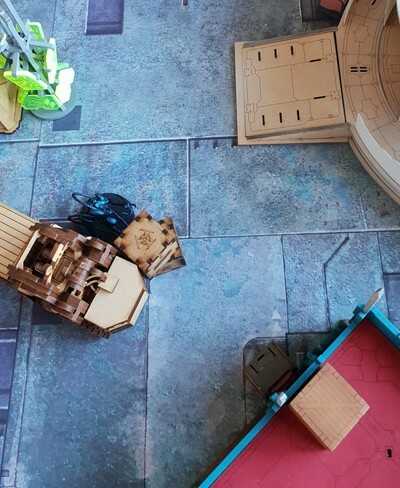 Jaina jumps down from her vantage point and advances on the Sphinx’s position. The operator wasn’t as unprepared this time and Jainas attack was repelled. As the TAG reset her digital assault it seizes its suppression and Jaina broke a smile as the TAG was caught in her trap. 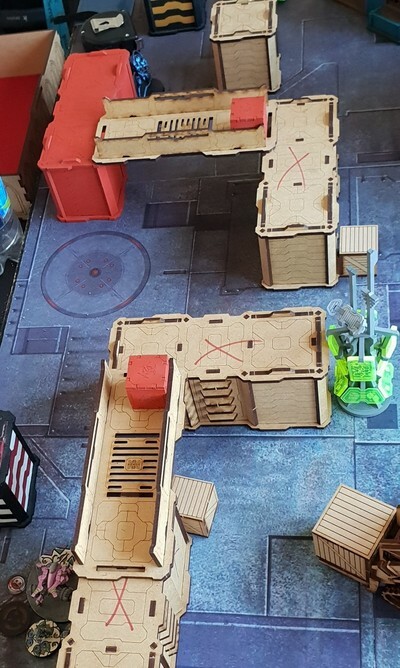 Without a second thought a Hollowman jumps into the air, landing on the balcony of a nearby building as it fires a salvo of missiles into the shasvastii TAG, knocking it back with a massive series of explosions. Skirting the wall for cover the Hollowman moves up and fires again, shredding the TAG in a burst of explosions. Now grasping at straws, a nexus killer hacker pitches a repeater close to Jaina and assaults her with a sinister malware intent on disabling the Tunguskan lieutenant. Jaina readied her defensive program in anticipation and the attack falters. The eyes of the alien hacker went blank as the cold became too much to handle for it and the other nexus, ice starting to build up around them.